Situated midway between Auckland and Whangarei and straddling state highway one, the unassuming town of Wellsford is the gateway to NZ's upper North Island. Like many gateways, it's easy to drive on through so while businesses in the area see the volume of through traffic as a bonus, capturing it can be more tricky. Visit Wellsford is a Get Spotted initiative. 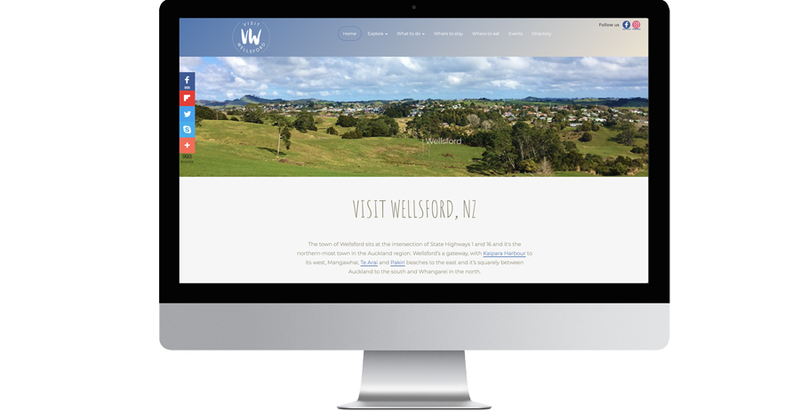 It's a website to showcase the beauty of the Wellsford area and its activities, to encourage people to stop, explore, stay and play... and to support local businesses. For a brand new site, getting search engine traction in an arena dominated by Wellsford listings from the likes of newzealand.com (Tourism NZ's website), TripAdvisor and Wikipedia is tough. Not only do those sites have incredible authority, they've been around a long time. 9 months after launch, the site made it to Google's page one for Wellsford and another month later, it ranked between #1 and #3. At the same time, it's blazing a trail for searches for the greater Wellsford area.